I was in Edinburgh today, soaking up the festival atmosphere, bathed in unexpected warm sunshine. It was so warm and sunny that the pavement side cafes were filling up and it all looked very continental. I decided to pop into the newly refurbished Assembley Rooms on George Street to take a peek at Jamie Olivers new Italian restaurant. Then I spotted these wee beauties…the vibrant orange caught my eye. Reading the planting label I see they are called ‘Orange Santa’….strangely unseasonal name, but they looked delicious. 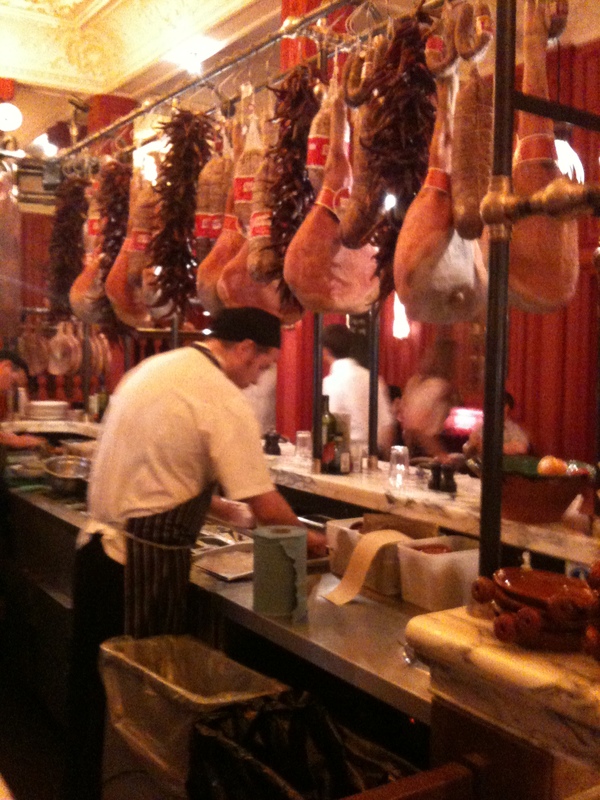 Here’s the Recipie if you want to try…. Warm a tablespoon of olive oil in a pan, before adding as much chopped garlic as you like (personally I don’t think there is such a thing as too much garlic! 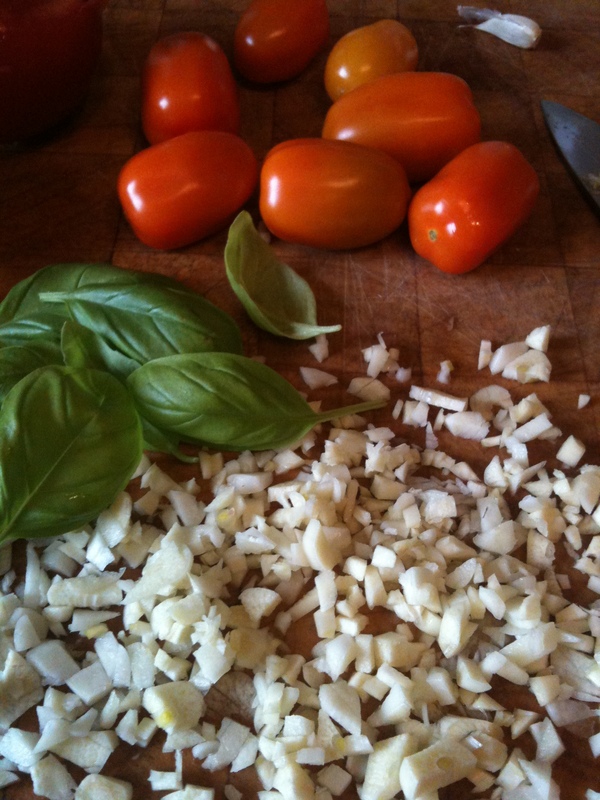 ),and then soften a finely chopped onion, and yellow pepper (bell pepper) in the garlicy oil….after a few minutes add the diced courgette and a good splash of the best balsamic vinegar you can afford (the best stuff is old..over 20 years is best :-)….and it gets sweeter and more expensive with each year of aging!!). Once all the veg are softened throw in the chopped fresh tomatoes (I just cut the Orange Satas in half) and a couple of tablespoons of tomatoe puree and let it bubble gently. 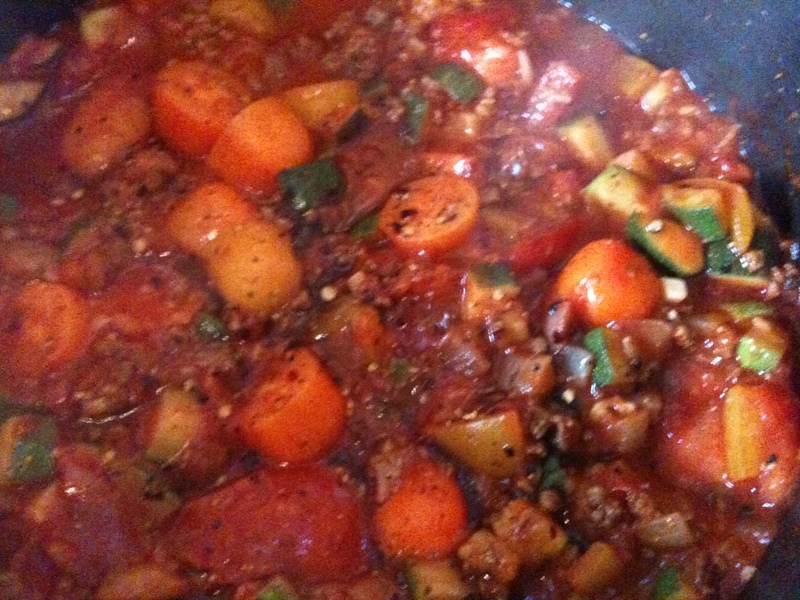 To make it more filling and nutritious you can add frozen minced quorn at this stage…but its nice with just the veg. 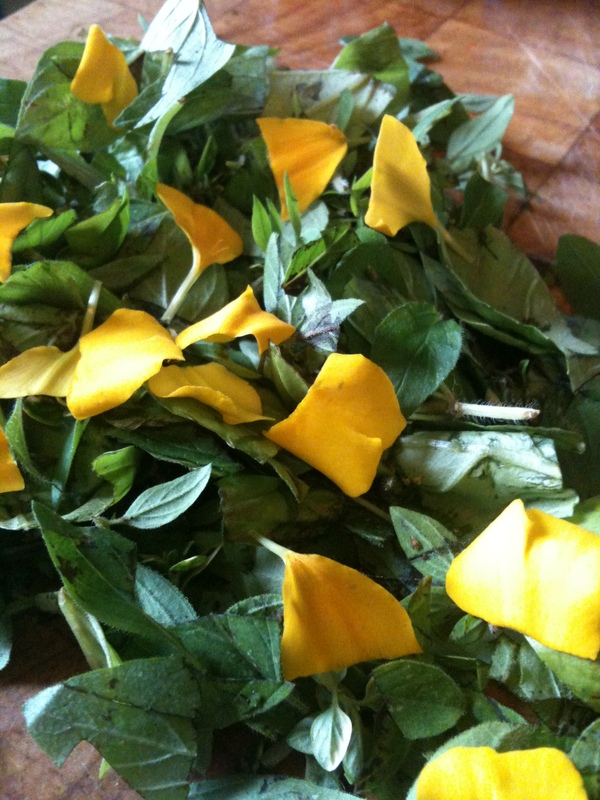 All thats left to do is to throw in the chopped fresh herbs…(the yellow is marigold petals…they add a lovely earthy citrus richness…and the colour is fab) and season with freshly ground pepper and salt. If it’s not sweet enough add a dash of heinze ketchup…my Mum who was cordon bleu trained taught me this :-)…but if you use fresh tomatoes the sauce is so sweet and creamy you shouldn’t need it. And the enjoy! 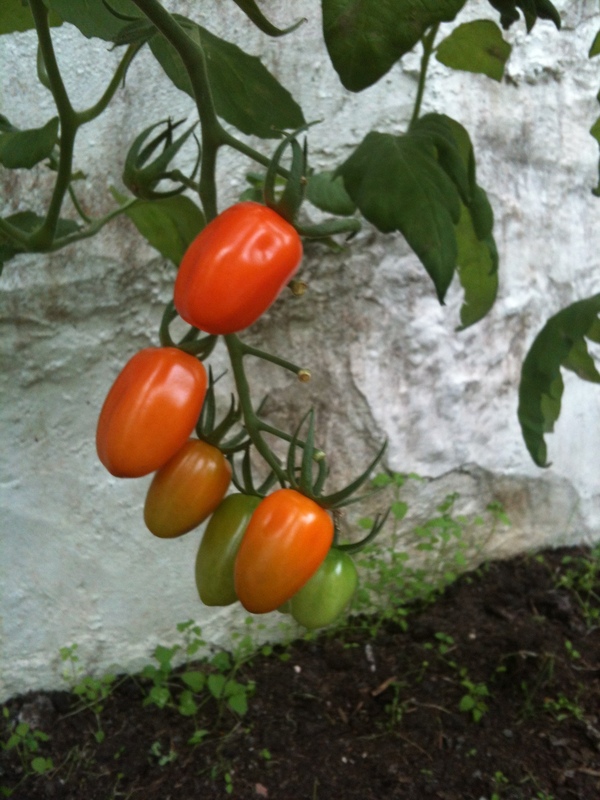 Simple but delicious…and I love cooking with produce fresh from the garden. 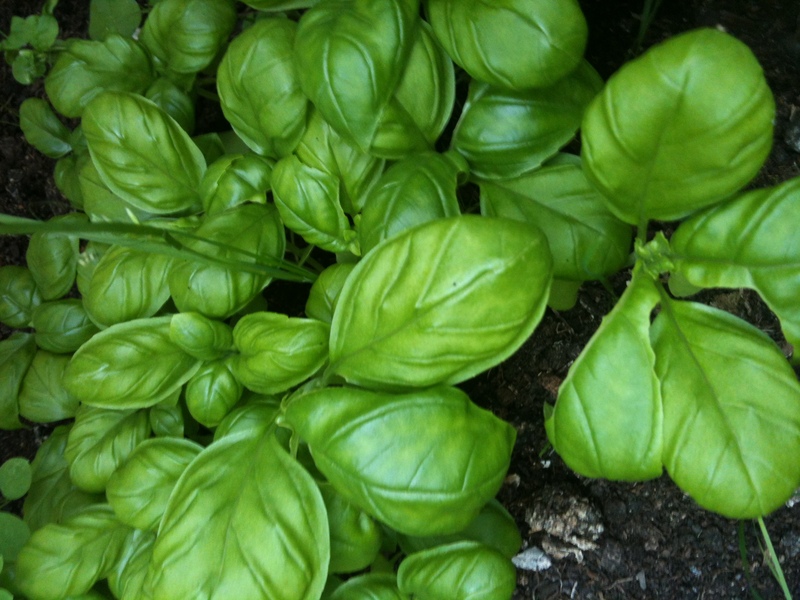 It makes the whole exercise of cooking so much more mindful, and I swear everything tastes better when it was alive on a plant minutes before being cooked…….let me know what you think! 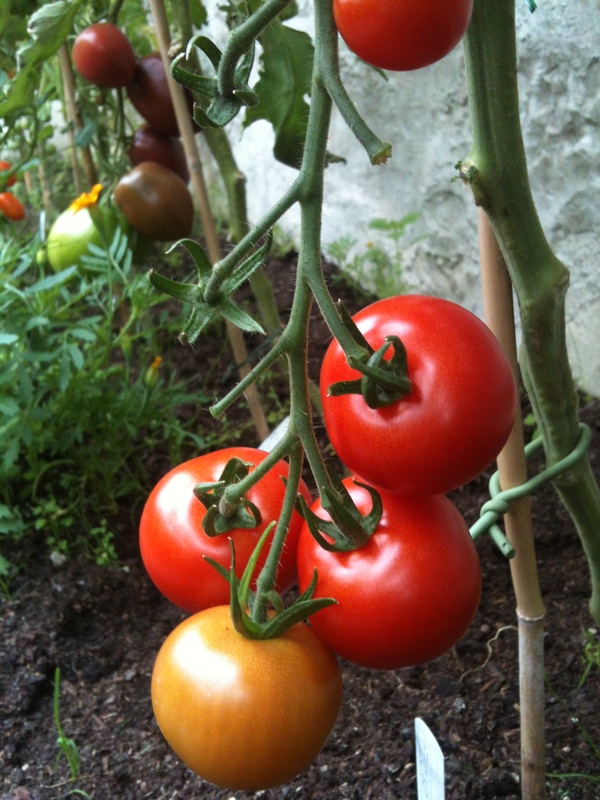 This entry was posted in cooking, food, mindfulness, photos, recipie and tagged Edinburgh, gardening, grow your own, Jamie Oliver, mindfulness, nature, photo, things to do in Edinburgh, tomatoe recipie, tomatoe sauce, travel, vacation, vegetables. Bookmark the permalink.